Here's a neat product from Godiva that bakes generosity right into the packaging. 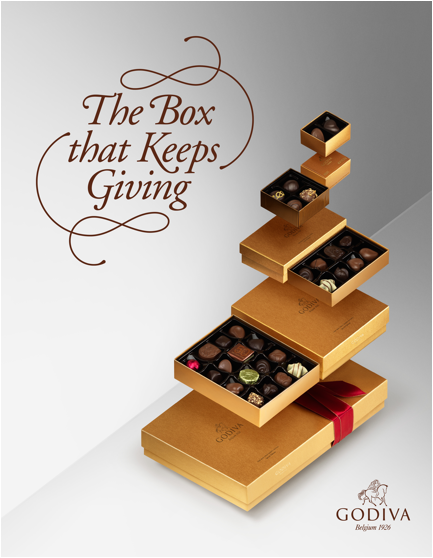 McCann New York worked with the Belgian chocolatier to create "The Box that Keeps Giving." It's a kind of Russian nesting doll style box. When you open it, there are two boxes—one to keep, and one to give to someone else as a gift. When the second recipient opens his or her gift, there are two boxes in there, too—one to keep, and one to give. And so on. 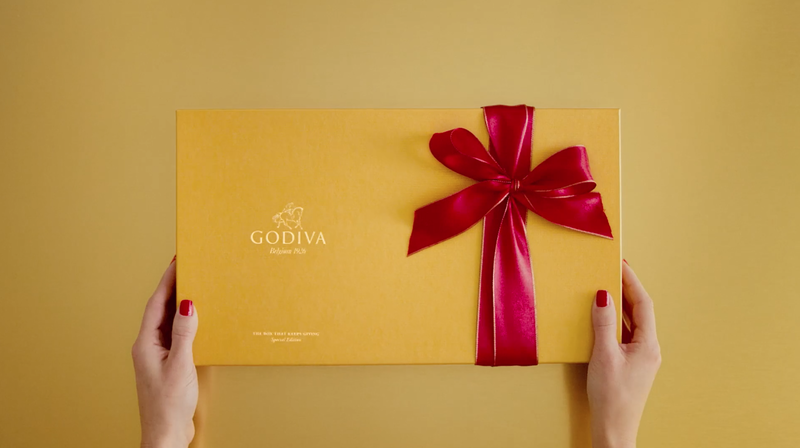 It's delightful when product packaging can somehow embody the spirit of a brand—and perfect for Godiva, for whom gifting is such a huge part of the business. And it's great timing for the holidays, too. The special-edition product will be available in select Godiva stores across the U.S. this holiday season. There was also a launch event in Rockefeller Center at the tree lighting ceremony on Nov. 30.